This page is introduction of a walk on the area around Shimousa Kokubunji Temple, the eastern side of Shimousa Kokubunji Temple, there is Gyokuosan Hojuin Temple famous for a big kettle in it. And there is the park to preserve the remains of Shimousa Kokubunniji Temple 10 minutes walks from the northwest of the Kokubunji Temple. 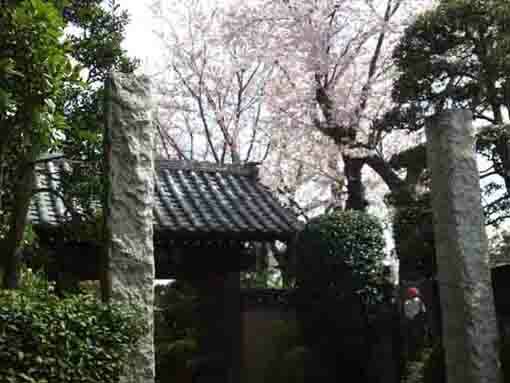 Also there are several temples and small shrines in this area, so visitors could see them and seasons confortablly in this area with small farmlands. Why don't you walk on the area around Shimousa Kokubunji Temple? Shimousa Kokubunniji Ato Park is a park for preserving the remains of Shimousa Kokubunniji Temple so there are stone tablets showing what this park is and where the main building had stood. 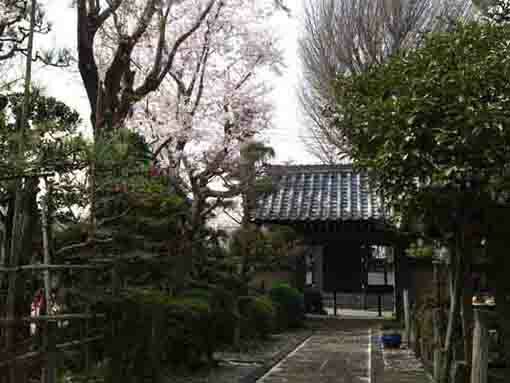 The park is 10 minutes walks from northwest of Shimousa Kokubunji Temple. 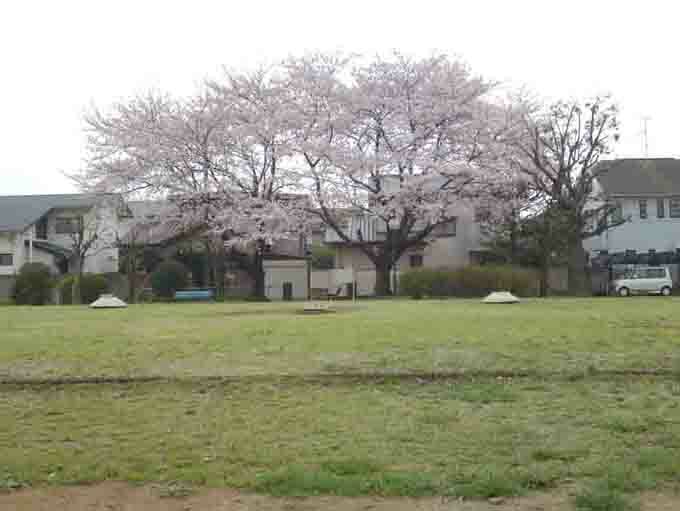 In spring, visitors could enjoy to see some cherry blossoms bloom in the park. 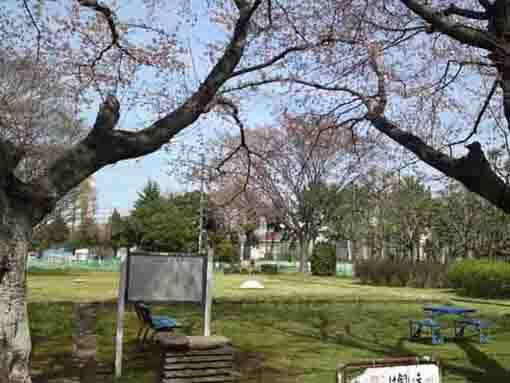 Why don't you visit Shimousa Kokubunnji Ato Park? Kokubunniji Temples were established by the Imperial Court with Kokubunji Temples in Nara Period in 741 and 10 nuns worked in. The Emperor Shomu issued an Imperial edict of building Kokubunji and Kokubunniji Temples to control the nation peacefully by Buddhism. Kokubunniji Temples were legally named Hokke Metsuzai no Tera, it means that the temples were built to save people from sin, so it expressed his wish to extinct the sins that people had committed. The lots were marked off for religious buildings by some ditches and fences and the Kondo (25.5 meters from east to west and 22.4 meters from north to south) and Kodo halls (27 meters from east to west and 19 meters from north to south) were built in them. There were no pagodas in the nunnery. It was confirmed that there were a south and an inner gate in the south side of the lots, and the structure of the inner gate was 4 dug-standing pillars gate (Yon kyaku Mon gate). 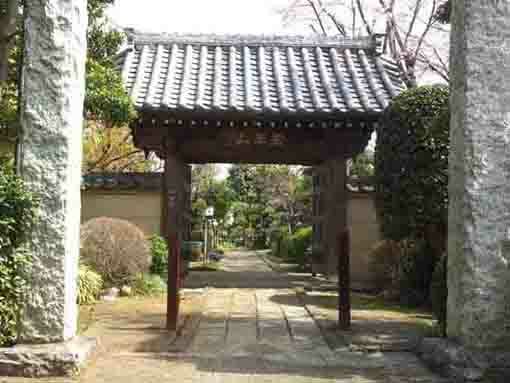 In general, an inner gate and Kondo hall were marked off by cloisters, it was very rare case to mark off by ditches and fences even though it was found in Kokubunji Temple and Kokubunniji Temple in Musashi province (Tokyo). A lot on the north side, there was a residence for nuns (nibo). On the east side of Shimousa Kokubunji Temple、on the opposite side of its east gate, the gate of Gyokuosan Hojuin Temple opens. 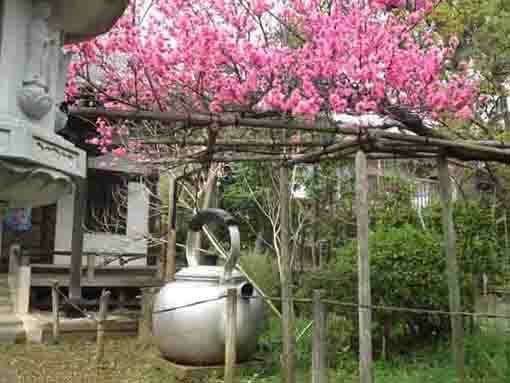 This temple is famous for a big kettle. The former chief priest of this temple loves puns, so he had got this kettle, it means that visitors at night could receive blessings since a kettle is called Yakan in Japanese so night is also called Yakan. Gyokuosan Hojuin Temple is very Kawaii and wonderful. Why don't you visit Gyokuosan Hojuin Temple? Shimousa Kokubunniji Ato Park has great accessibilities from both Narita and Haneda International Airport. Take 35 minute walk from Ichikawamama Sta. 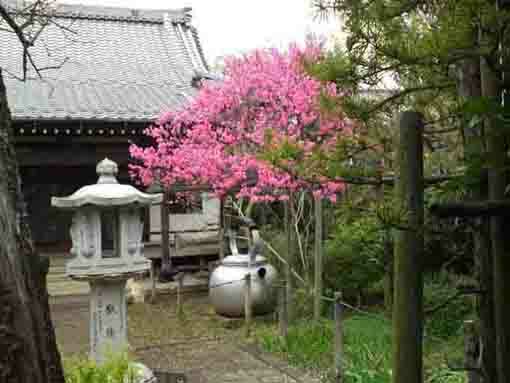 Gyokuosan Hojuin Temple has great accessibilities from both Narita and Haneda International Airport.